The creator is automatically the group's moderator. The list of the current group moderators is shown here. 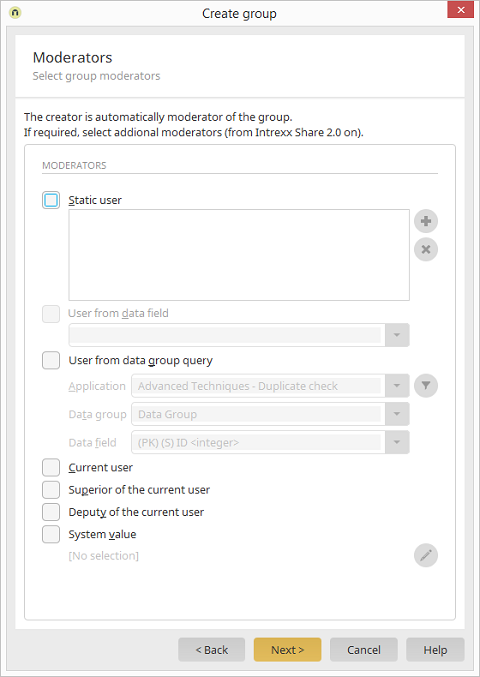 This setting means that the currently logged in user is seen as a moderator of the group. Equally, the Superior or Deputy of the current user can be used.